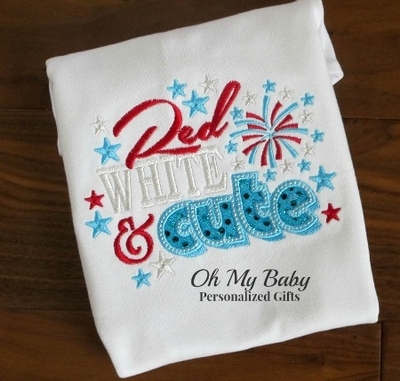 Super cute Patriotic shirt embroidered with "Red White & Cute" design. "Cute" is appliqued with kind of shiny glittery fabric. Dress your little one up in this adorable personalized patriotic shirt.